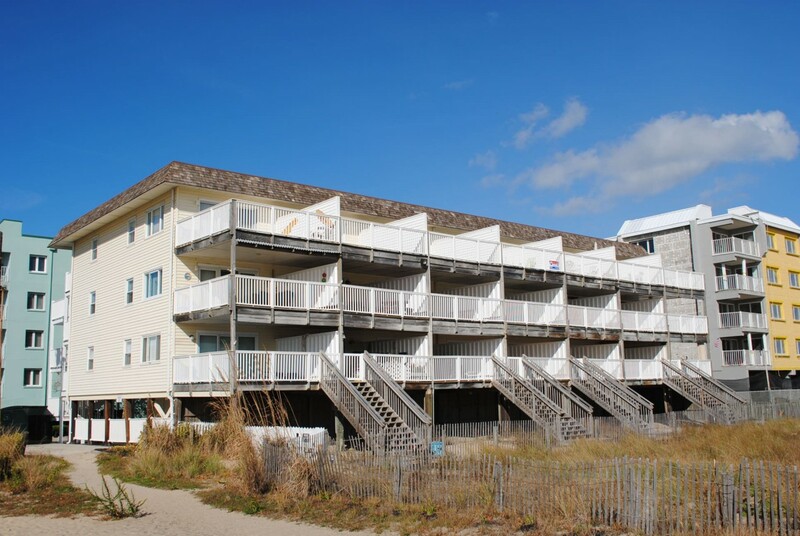 This mid-town direct ocean front three story frame building sits just behind the dunes and makes it easy to enjoy the sunrise as well as ocean, beach and sky watching from your individual East facing covered deck. Parking for one car; unit AC. Close to all the fun the town has to offer. Beachcrest building has following features and amenities: .